Whether you are moving out of Virginia or your spouse is looking to move away, a Manassas family law attorney who takes the time to understand the complexities of your situation can help create the proper game plan for you. The family law system makes it possible for an unscrupulous or careless lawyer to waste valuable resources pursuing unviable solutions. We know our clients do not benefit from those battles, so we take the time to understand our clients’ goals and advise them about possible outcomes. Although many family law matters can be resolved most effectively without going to court, it’s critical to work with a legal team that is always prepared for litigation. Our opposing parties know we are a trial-centered firm that is not afraid of going to court, which often helps achieve more favorable solutions without the lengthy, costly legal battles. 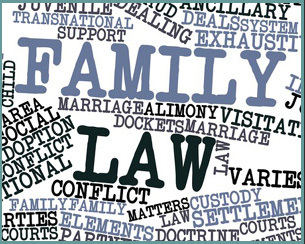 Learn more about the representation we provide in all family law matters by scheduling your initial consultation. We can be reached online or by calling 703-361-0776.